This work was conceived as a preview of the new company work 2017 / 2018 titled CIRCEO, and is like a large navigation path, that before landing in an hypotetical and mythical place named Circeo, touchs another very far and mythical place named Hekla. In an extended horizon with no usual landmarks, the dancers go deeply and completely into a slight and mutable universe, made of complexity of the movement and its dynamic qualities, as in an endless and hyptnotic needlework. In the uncertainty between the mental and the factual, between the nocturnal and diurnal, the dancers speak a language that seems to belong more to a stormy sea. The work presents a parallel actions score, acted by Fabrizio Favale and Andrea Del Bianco. These actions that will happen in the two sides, left and right, of the dance area, in the shadow zones, change and influence the atmospheres and the mood of the entire work. And these are related with electricity, with the light changes, with fire, volcanology instruments, ice blocks, rocks, carbon, concrete slabs, uncertain animal figures… atmospheres that are in the half way from archaic/basic natural things and technological instruments and images. Full Scholarship at the American Dance Festival, Duke University, USA in 1990, Fabrizio Favale as a dancer in 1996 receives the "critics award for best Italian dancer of the year". As a choreographer in 2011 the "Medal of the President of the Republic to the Italian choreographic talent". From 1991 to 2000 he was dancer for the Company Virgilio Sieni. In 1999 he founded the group Le Supplici. He is the creator of a series of independent projects dedicated to research including: “Piattaforma della Danza Balinese” for Santarcangelo Festival. From the year 2015 he is the Artistic Director for contemporary dance program in the Teatro Duse Bologna, in a format dedicated to research titled "Circo Massimo". He works with international musicians like Mountains, Teho Teardo, Daniela Cattivelli, Keith Fullerton Whitman. Le Supplici was founded by Fabrizio Favale in 1999. From the following years the works are engaged by several international festivals such as La Biennale di Venezia, Suzanne Dellal Tel Aviv, Expo 2010 Shanghai, SIDance Seoul, Tokyo Kitazawa Town Hall, The RED Serpiente Mexico, Santarcangelo Festival, Gender Bender Bologna, Danae Festival Milan, Festival of Edinburgh, Internationale Tanzmesse NRW Dusseldorf, Aperto Festival Reggio Emilia and so on. 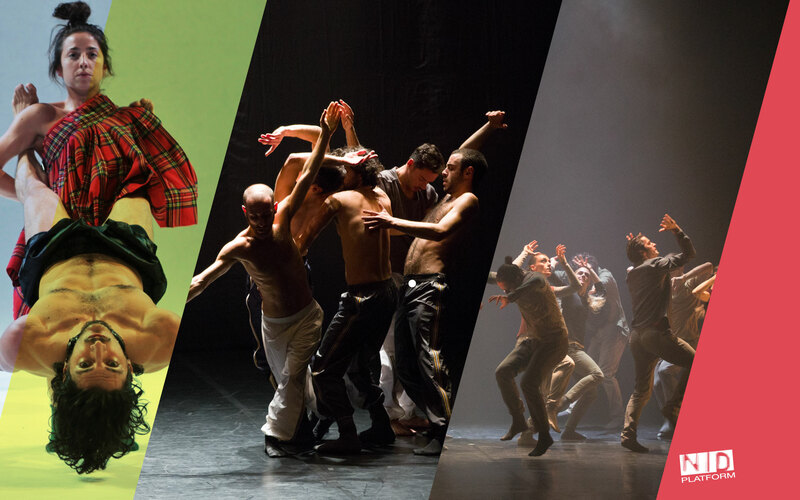 The works UN RICAMO FATTO SUL NULLA and IL GIOCO DEL GREGGE DI CAPRE received awards for choreography in Spain, Germany and Serbia. Between 2005 and 2007 he created in triennal residency offered by ERT the project “Mahabharata - selected episodes” in which collaborates with Francesca Caroti, Roberta Mosca and David Kern (Forsythe Company). Recently the work OSSIDIANA is been invited at the Biennale de la Danse de Lyon 2016 and the new work 2017/2018 CIRCEO is produced by the Théâtre National de Chaillot, Paris.